At 360 Inspection Services, we not only know how to provide our Kitchener, Waterloo, Cambridge, Guelph, Brantford and London area clients with great home inspection services, we also know how to put all of the information gathered from our thorough, on-site inspection, into a professional looking, detailed yet easy-to-understand home inspection report, completely customized to suit our each individual clients' needs. Consider your 360 Inspection Services home inspector, a trusted advisor. Our InterNACHI and IAC2-Certified inspector will provide excellent communication and provide you with insights about all aspects of the home, helping you to be an informed customer. We will point out and discuss helpful tips and suggestions, as well as areas of concern about the home. We deliver results for over 8 major systems including electrical, plumbing, structure, heating & cooling, roofing, interior, insulation and ventilation and fireplaces. Getting us to perform a home inspection is just the start of a long-term commitment we make to all of our Kitchener, Waterloo, Cambridge, Guelph, Brantford and London​ clients. By hiring us to be your dedicated home inspection company you have the opportunity to call, text, or email any questions or concerns anytime in regards to your new home. 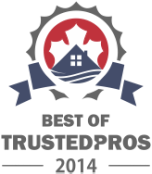 360 Inspection Services is dedicated to delivering the best home inspection services throughout Kitchener, Waterloo, Cambridge, Guelph, Brantford and London. We also specialize in pre-purchase inspections, pre-listing inspections, condominium inspections, home warranty inspections, homeowner inspections, mold & indoor air quality testing, radon testing and asbestos testing.